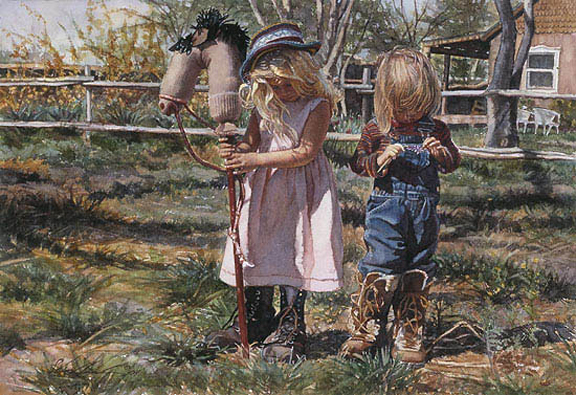 "Country Girls is simply about enjoying the times when your children are small,” says Steve Hanks. Sometimes his pieces convey layers of meaning, this piece, however, in a smaller scale than Hanks usually paints, conveys the beauty of two tow-headed girls enjoying a moment outdoors in the country. In what could be Anytown, USA, Hanks captures an innocent time of pretending and the simple joys of childhood.